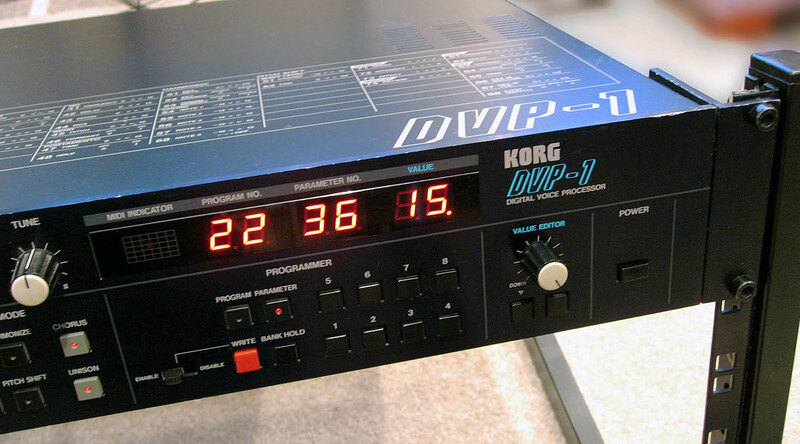 The name DVP-1 comes from the words Digital Voice Processor, so it's more than just a vocoder that you might first think it is. There's also harmonizer, pitch shifter and internal wave modes. The internal waves are very nice vocal/choral waves that you can use as a standalone voice synthesizer. 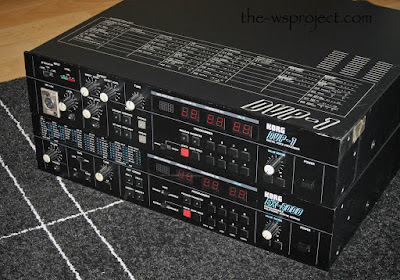 The waves are probably produced by a same kind of DWGS technology as in the DW-series synths. You have a complete control over the formants of the waves and you can even modulate the formants with the pitch bender in realtime. There's 5 voices of polyphony which is reduced to 4 if you toggle on the onboard chorus. Run the internal wave synth through a nice analog ensemble effect and you have some excellent choir sounds! This is how I used my DVP-1 on the album Subtle Moves. DVP-1 takes 2 units of space from your rack. 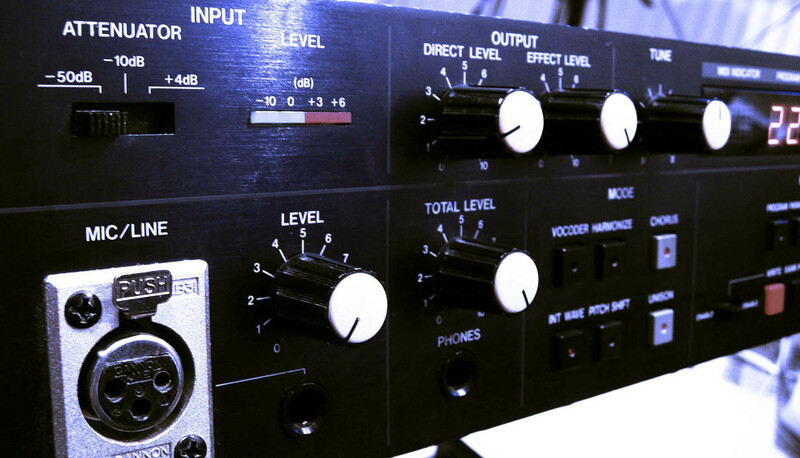 The vocoder might be the most attractive feature of the DVP-1. But being a digital unit it really doesn't deliver that classic analog Cylon-vocoder sound. You're also stuck with the internal waves as carrier signals. so no external input for your own carrier sound. It gives you some decent vocoder sounds, but I only tried it and never used it musically. I'd rather have a simple analog vocoder like the MAM VF-11 for example. 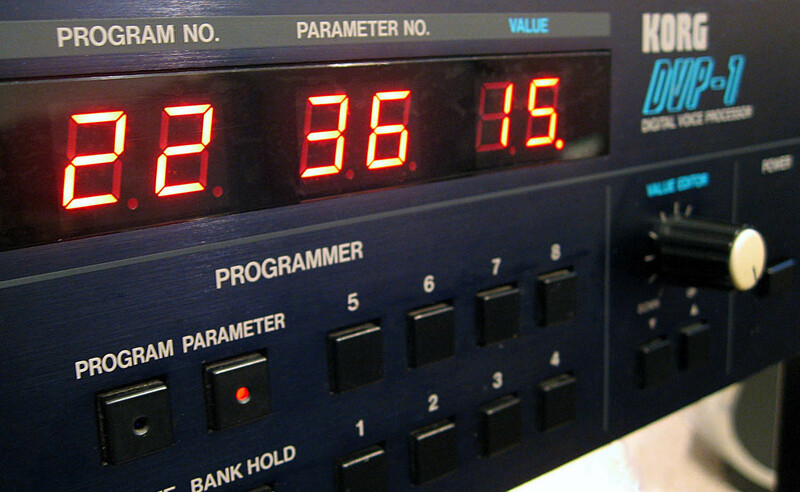 The harmonizer and pitch shifting are most probably better done with modern plugins than this machine from the 80's. DVP-1 and EX-8000 (DW-8000 rack) share the same visual design.